Hearn promotes several heavyweights – including IBF, IBO, WBA, WBO champion Anthony Joshua, soon to be heavyweight Oleksandr Usyk, and has a fight by fight deal with Dillian Whyte. “I think right now there are five heavyweights who are sort of… you can call them ultra-elite if you like. And they are the five best heavyweights in the world. And I’m saying Oleksandr Usyk, and I know he hasn’t boxed yet at heavyweight yet, but he’s the undisputed cruiserweight champion and he is a genius and I presume that he’s going to be in that mix,” Hearn explained to BoxingScene.com. 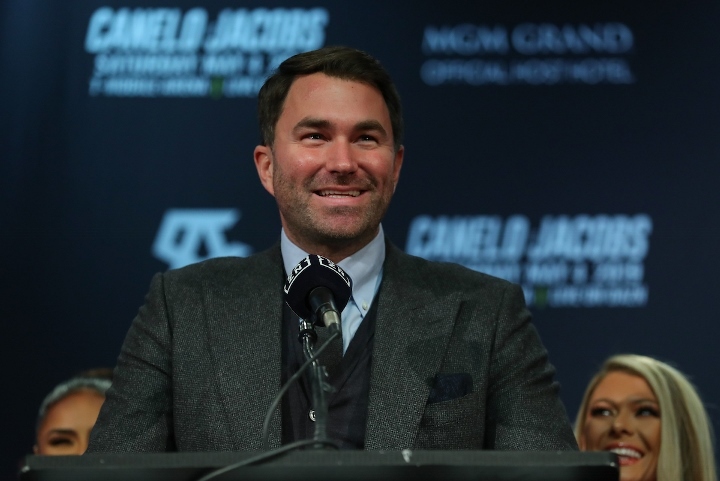 When asked to rank them order, Hearn voiced off his list and he cautions that his personal selection might be controversial – with Wilder being ranked behind three other boxers, including Whyte. “Joshua, Fury, Dillian Whyte, Wilder and Usyk. I know that might be controversial, but that’s my gut feeling,” Hearn said.